After Microsoft’s announcement regarding the Xbox Live Games with Gold July 2016 for Xbox One and Xbox 360 consoles, Sony has now announced July 2016’s PlayStation Plus free games lineup for PlayStation 4, PlayStation 3 and PlayStation Vita owners. But that’s not all, the platform holder is throwing in a special bonus; early access to the beta version of Paragon, Epic Games’ upcoming highly anticipated shooter-MOBA. The new PlayStation Plus July 2016 lineup of titles have been revealed, and this means six games are now scheduled to be available to the members of Sony’s paid PlayStation Network subscription service starting at the beginning of the month, two on each PlayStation platform. 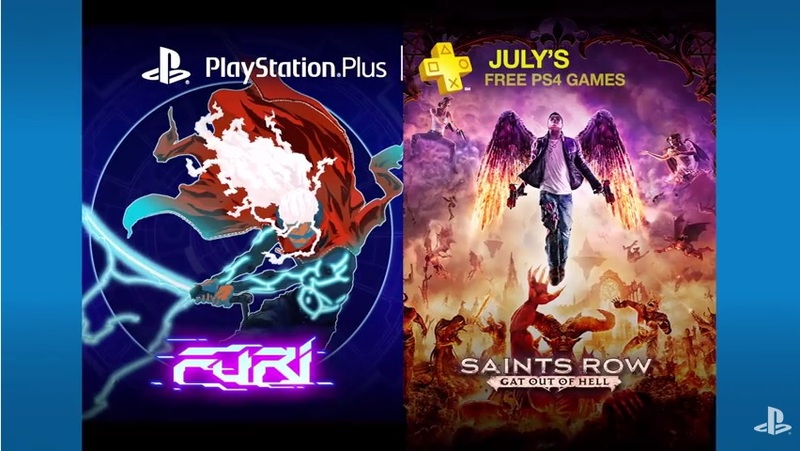 PlayStation 4 owners will be able to get their hands on Furi and Saints Row: Gat Out of Hell, a standalone expansion to Volition’s open world action-adventure game Saints Row 4 starring none other the infamous protagonist of the series, Johnny Gat. PlayStation 3 owners will also get some exciting games; first is Ubisoft’s 2009 western first-person shooter Call of Juarez: Bound in Blood, and the second is Sony’s own action real-time strategy game Fat Princess. July 2016’s PlayStation Plus free games will go live when Sony will refresh the PlayStation Store on the first Tuesday of the month, which should be July 5.For now, hurry up and grab June 2016’s free games before they return to their normal prices.